Fill out the questions above to get a quote on how much your iPhone 6 Plus is worth and how you can get the most money for your iPhone 6 Plus. If you are here to sell your iPhone 6 Plus for AT&T or sell your Verizon iPhone 6 Plus, we are ready to buy it all including Sprint and the Unlocked ones. If you want to sell your broken iPhone 6 Plus that has a cracked screen or that's not working or want to sell your working iPhone, our iPhone 6 Plus buyback program is here for you, just answer the questions above and you will find out how much your iPhone is worth. 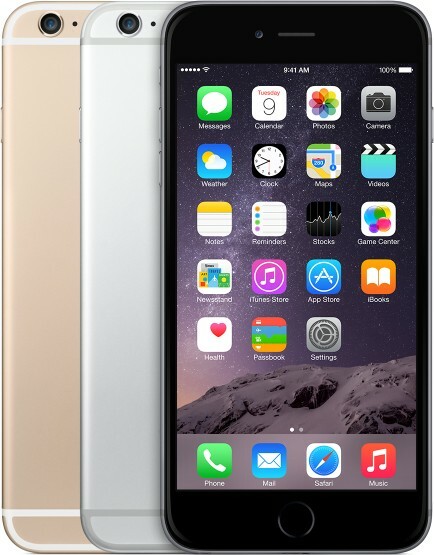 Sell iPhone 6 Plus with any size, iPhone 6 Plus 8GB, 16GB, 32GB, or 64GB. Trade-in your iPhone 6 Plus today and enjoy the extra cash!